REPLENISH collaborates with haulers and composters who reclaim organic table scraps from restaurants and then recycles this material back to farmers through the creation of compost. The compost fertilizes the produce that goes back to the restaurant. This program partners with the Rehoboth Beach-Dewey Beach Chamber of Commerce & Visitors Center and Destination Station Project. 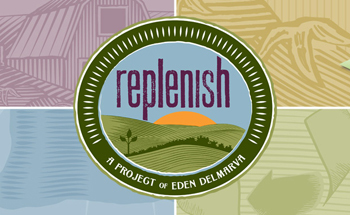 Click here for more information on the Replenish Project! Also checkout the DNREC website for more information!